March 28, 2017 / Upper East Side Neighborhood UES / UES Restaurants Upper East Side / Manhattan Buzz NYC. UPDATE. Please note that this restaurant is closed for the moment, as they were affected by a fire next door according to their website. 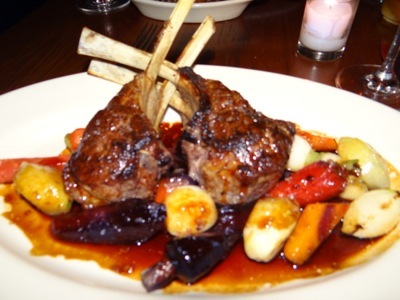 I had an opportunity this winter to enjoy a personal lunch at Firenze Ristorante on the Upper East Side. 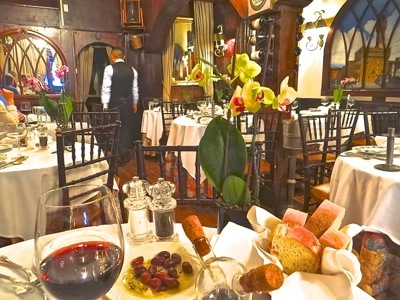 The Firenze Italian restaurant has a warm, charming, authentic Italian feel to it ... which is made obvious by artifacts from the owner's place of origin ... Florence, Italy. Along one of the walls there's a beautiful mural full of intricate detail depicting a birdseye view of a section of Florence. 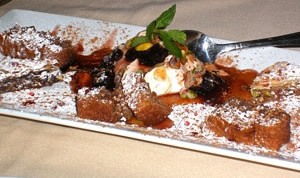 Firenze is a cozy, well kept Tuscan restaurant, offering an assortment of Italian fare. The restaurant was started 35 years ago by the Donati family, which still runs the restaurant to this day. It was early afternoon as we entered the restaurant along Second Avenue between 82nd and 83rd Streets. 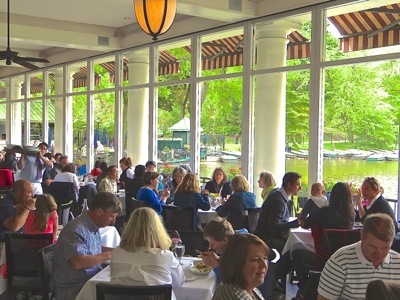 Generally the Yorkville section of the Upper East Side isn't a big weekday lunch destination, and since we had arrived well past the lunch rush, the restaurant was serving only a couple of parties. This made for a very relaxing meal with the added benefit of some privacy. The menu included a well chosen, curated sampling of Tuscan fare. Given the wintry season, we decided to start with soup. I started with the Ribollita soup while my dining partner had the Tuscan soup. 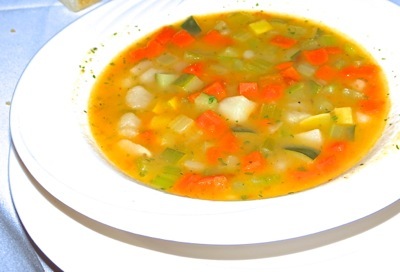 The Ribollita soup contained a savory mix of cannellini beans, celery, cabbage, tomato cooked in a chicken broth with several different herbs. The result was a hearty, medley of flavors that soothed while replenishing my body with nutrients. I sensed my dinner companion was enjoying his soup as much as I was mine. We had stumbled upon Firenze and I would classify it as a nice find. 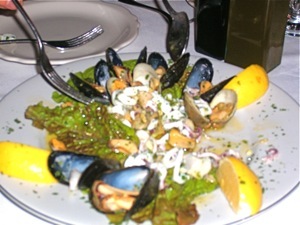 Great for dates, get togethers with old friends, or just out for a good, old fashioned, authentic Italian meal. The Italian restaurant ambiance was augmented by Dean Martin singing some old tunes in the background. And we ordered a couple of glasses of the house wine which was - of course - Chianti. 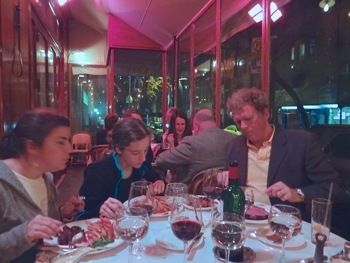 The wine had a mellow, full bodied taste and was a nice accompaniment to the repast. Our main entrees arrived after we had finished the soup. I had ordered the Filet Mignon with mushrooms while my friend ordered the Pappardelle with Meat Ragou. 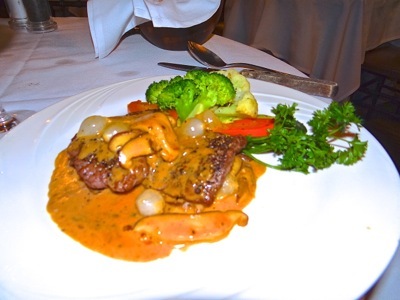 The sirloin was served a juicy rare, with the mushrooms cooked al dente and a flavorful sauce. The meat dish was complemented with a mixture of cooked vegetables that included broccoli, cauliflower, spring onions and tomato. The whole ensemble was even better than it looks in the photo at right as the meat came apart as I bit into it, and the sauce provided a symphony of soft notes of taste. The vegetables were like a chaser, cleaning the palate. My dining companion seemed to enjoy his Pappardelle and Ragou dish as much as I was enjoying mine and possibly more, as he didn't speak for the while he was interacting with his main entree. All in all it was an enjoyable repast. 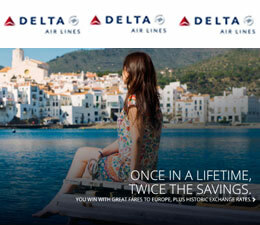 But our respective duties called, so we settled up the bill and were on our way. Generally the prices were about as follows $25 for the Pappardelle Ragou, $35 for the Filet Mignon, the soups were about $10 and glasses of house wine went for $12 apiece. 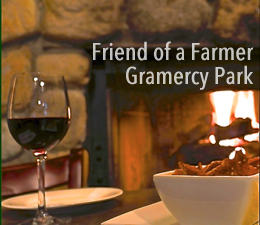 The food and service were both quite good, and the ambiance complementary to nearly any friendly get together. As mentioned above, Firenze Restaurant is closed at the moment. According to their website they were affected with damage related to a fire next door. You can stay tuned for their re-opening by checking in on their website at www.firenzeny.com. 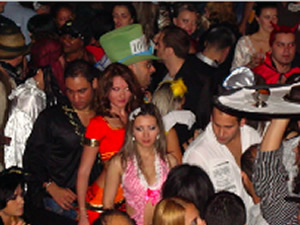 January 26, 2016 / Upper East Side Neighborhood UES / Restaurants & Bars on the Upper East Side UES / Manhattan Buzz NYC. I’ve walked by the Bar & Books on Lexington Avenue numerous times, and occasionally stepped in to see what it looked like close up and to see who was there. So around the holidays, I had a special guest in town who is a bit of a cigar aficionado. After dinner one evening, we took a walk along Lexington Avenue looking at store windows on our way down to the Bar & Books between 72nd and 73rd Streets. 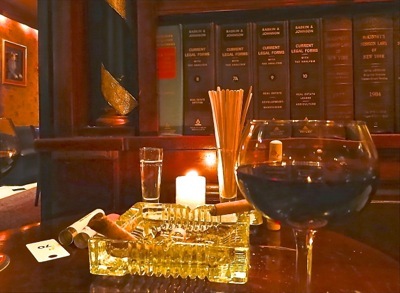 The Bar & Books takes reservations, which I had made just to be certain we’d be able to get in to enjoy a fine cigar to close out the evening. It was a weekday night, so as it turned out, it wasn’t necessary, and we found a table just off the bar in the center of the establishment. An attractive woman, with the look of a James Bond ‘girl’, waited on us. My friend had a Macallan 12 year scotch, while I ordered a glass of Malbec wine. We settled in, checking our coats and keeping our bags on the chairs of the table next to us. The walls of the Lexington Avenue Bar & Books are lined with shelves of books, which I suppose you could read if you were inclined to read Rabkin A. Johnson’s Current Legal Forms with Tax Analysis - which I can only imagine would be the case in the worst of circumstances - and tonight was no such night. 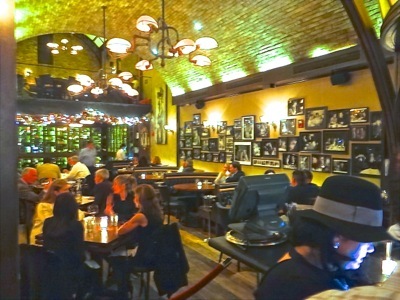 Click here for the rest of our report on NYC cigar bars on the Upper East Side of Manhattan. 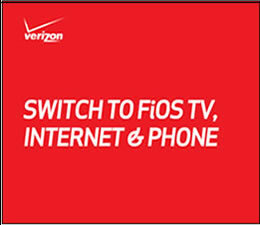 Upper East Side Neighborhood UES / Upper East Side Restaurants / Manhattan Buzz NYC. Finnegan’s Wake Pub on the Upper East Side is a traditional neighborhood Irish pub. There’s Irish fare including chicken pot pies, meatloaves, and bacon cheeseburgers. It sports a mid century décor which complements the age of the crowd. 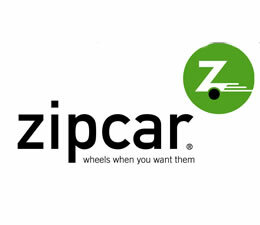 It’s comfortable, casual and serves generally good food, which is good value for the money. The Irish restaurant appetizers range from $3 - $14, sandwiches range from $6 to $15, burgers range from $9 to $12 for a platter, and main entrée platters range from $15 - $25. There’s outdoor seating. Finnegan’s Wake Pub is open from 11 am – 1 am daily. 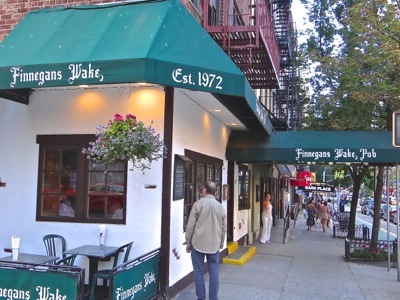 Finnegan’s Wake Pub is located at 1361 1st Ave between 72nd and 73rd Streets  on the Upper East Side UES. 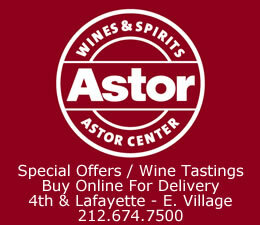 Click here to view a listing of other restaurants and bars on the Upper East Side UES NYC. Murphy’s is an Irish neighborhood pub with burgers and sandwiches. 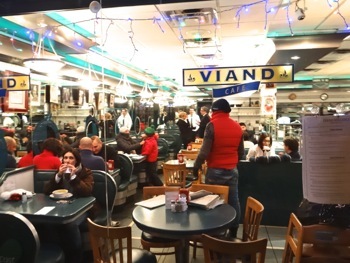 Most folks like the drinks and compare the food to a respectable American diner. Murphy’s Law pub is usually quite popular during important televised [sports] events, frequently during which time they run drink specials. And given the Irish pub and restaurant is near the hospital, they offer a discounted rate [10%] to hospital employees. Both Memorial Sloan Kettering and Rockefeller University Hospitals are located in the neighborhood. The Irish Pub appetizers are $7 - $14 and sandwiches are $10 to $17 and main entrée platters are $16 to $28. Murphy’s Law Irish Pub and Restaurant is open from 11 am-4 am daily. 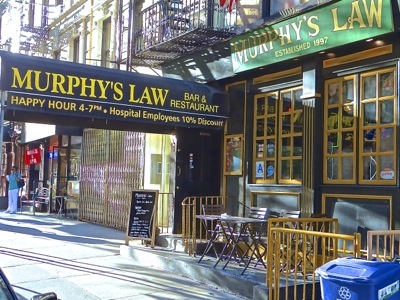 Murphy’s Law is located at 417 E 70th Street between 1st and York on the Upper East Side UES. 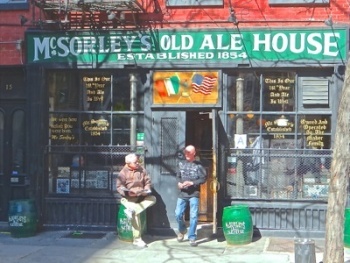 Click here to view a short report about other Irish bars, pubs and restaurants in Manhattan NYC. 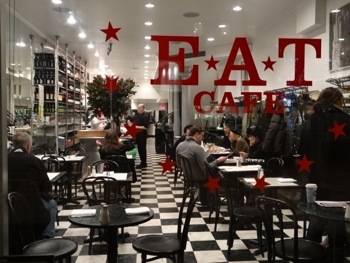 EAT is located at 1064 Madison Avenue - just north of 80th street - on the upper east side. Zabar's deli and bakery has been in business since 1973, serving as a nearby nosh place for Met Museum visitors. 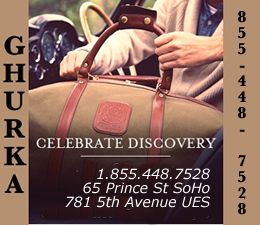 Louis Zabar immigrated to the U.S. from Russia in the early 1920's. 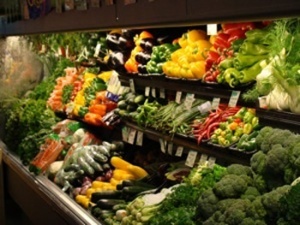 Over the course of the next thirty years he became the owner of ten food markets. Following his death, his wife and three sons evolved his food store holdings into two separate organizations - Zabars which includes the gourmet food store on the upper west side and Eli Zabars [the youngest son] which includes EAT. Both organizations manage a portfolio of food / beverage related enterprises. 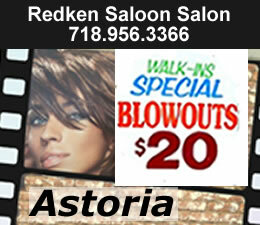 Astoria Queens / Manhattan Buzz NYC. used to be heavily populated with Italian immigrants, particularly in the first half of the 20th century. They brought with them their knowledge and skills about food and wine, the products of which became, in time, a part of the American culture. Click here to read the full report about fresh pasta in Manhattan & NYC. 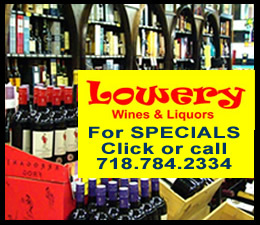 Food Stores in Manhattan NYC / Manhattan Buzz NYC. Astoria has long been known as the Greek section of Queens and NYC. And for nearly 30 years Titan Foods has been serving the Greek section of Queens and NYC with imported Greek food. 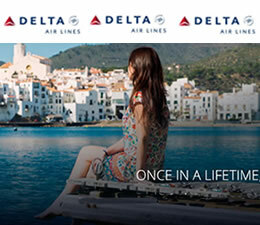 In 1991 Optima Foods, which is owned by the same folks as Titan, began operating as a mid sized importer and since that time has grown to become one of the leading distributors of Greek food along the eastern seaboard of the United States. 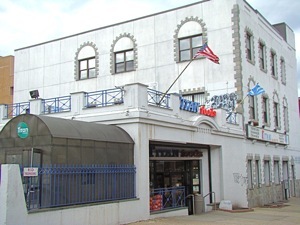 Click this link to read the full story about Titan Foods - Greek food stores in Manhattan NYC.